Tunisia leader, 92, won't seek re-election - The Maghreb Times ! President Beji Caid Essebsi says he will step aside despite calls for him to run in November’s poll. Tunisia’s 92-year-old president has announced he does not plan to stand in elections expected this November, despite calls for him to run. Mr Essebsi won the country’s first free presidential poll in 2014. Mr Essebsi’s party have called for him to run, as under the constitution he is entitled to stand for a second term. But the leader said he did not think he would put himself forward, saying it was time to “open the door to the youth”. 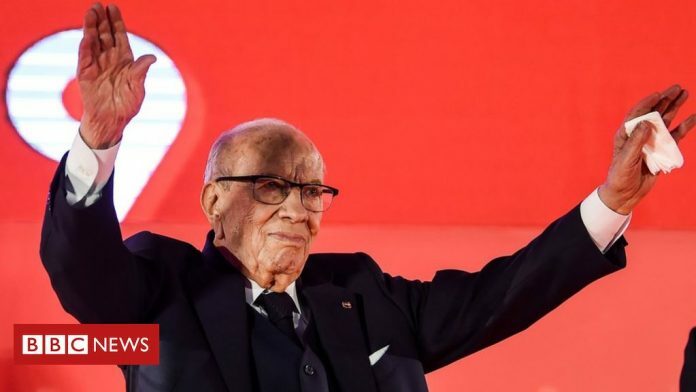 Mr Essebsi’s announcement he does not intend to run comes days after neighbouring Algeria’s 82-year-old president Abdelaziz Bouteflika resigned following weeks of huge street protests.